With the top clubs being involved in multiple competitions throughout the season, chances of player burnouts increase. Squad depth plays a major role in the healthy functioning of a club and is a big reason why the best clubs stay on top for as long as they do. It is still, however, not given the spotlight it deserves and the subsequent effects have been evident. Let’s take a look at four of the ‘Big Six‘ in the Premier League and how squad depth, or lack of it, has played a part over the recent past. We begin with the champions, Manchester City. One can see how impeccable their methods are. City have an amazing first XI, but also have replacements for each and every position. Regular squad rotation by Pep keeps the team fresh and ensures the best combinations are available for big games, not to mention helping out when injuries strike. 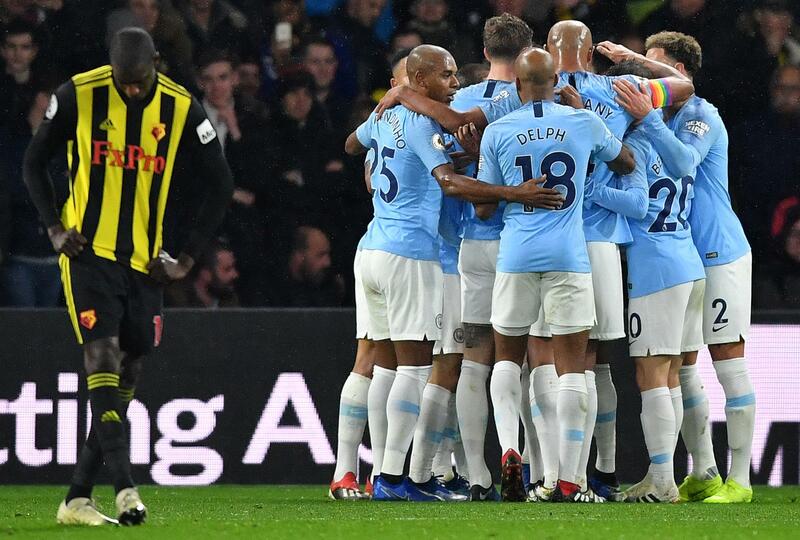 Guardiola rung the changes once again as City eased passed Watford on Tuesday night. A case in point for this would be the long-term loss of de Bruyne this season and how Bernardo Silva has adapted and stepped up in that midfield role. 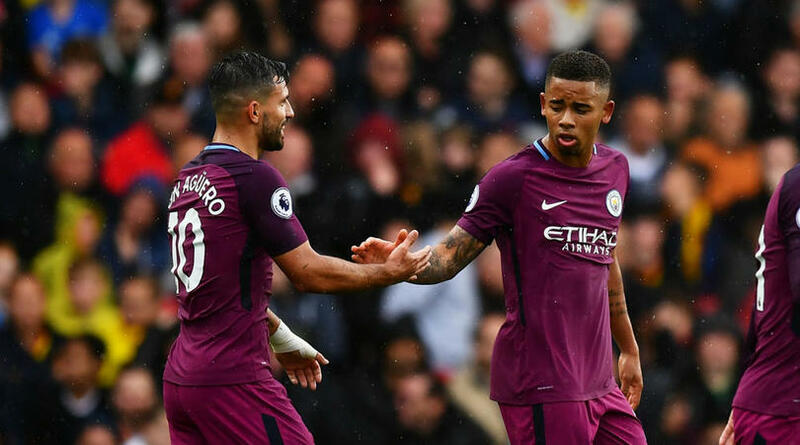 Predominantly a winger, some pundits thought his time at the club was up after the signing of Mahrez, but he has proven to be a very useful player for City every time he steps on to the pitch. Another spot of potential bother for City was the loss of their boisterous LB, Benjamin Mendy to an injury, however, City have two replacements for that slot in Delph and Zinchenko, both capable of putting in a shift. However, one area where City could improve is by giving youngsters like Phil Foden and Brahim Diaz game time. This would boost their confidence and help the team in the long run. Chelsea – Good squad depth, need a better finisher. Chelsea offer another good example of strong squad depth. Sarri is not a fan of squad rotation in the league. His midfield and defence has remained relatively unchanged this season. Although when Ross Barkley has been giving a chance he’s surprised many of us and been really good this season. Much like City, Chelsea have strong replacements for each and every position and this is quite evident in cup ties with players like Fabregas, Emerson, and Drinkwater making up the numbers very well. 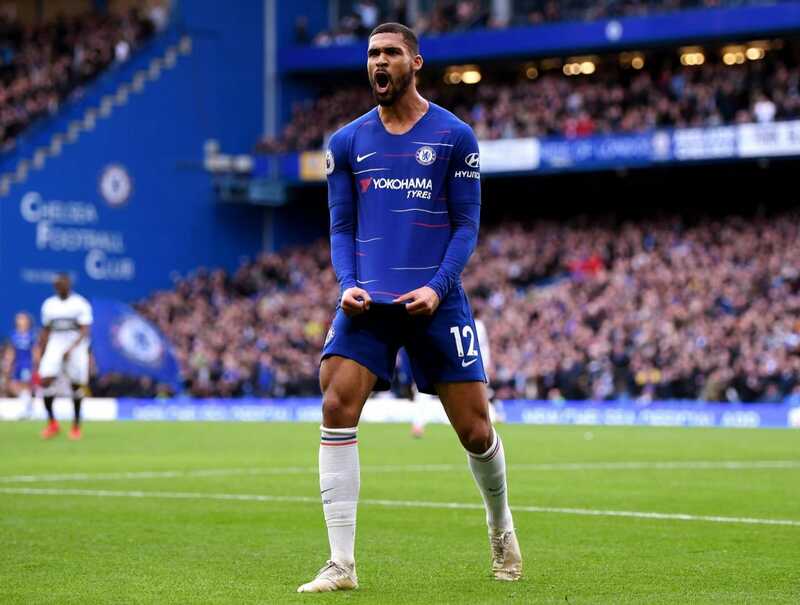 By giving younger players like Barkley and Loftus-Cheek game time, Chelsea have ensured that they aren’t too heavily reliant on their main midfielders. Lotus-Cheek, in particular, has benefitted from this, even bagging himself a Europa League hattrick. Let’s now look at a couple of clubs who haven’t been as efficient in rotation and depth management. Spurs – Multiple defensive Options, But not too much to pick from in midfield and forward positions. Tottenham are best known for putting pressure on Arsenal and having a trophy cabinet that, for lack of a better term, is minimalist in nature. Harry Kane has been leading the frontline for a good 4 seasons now. 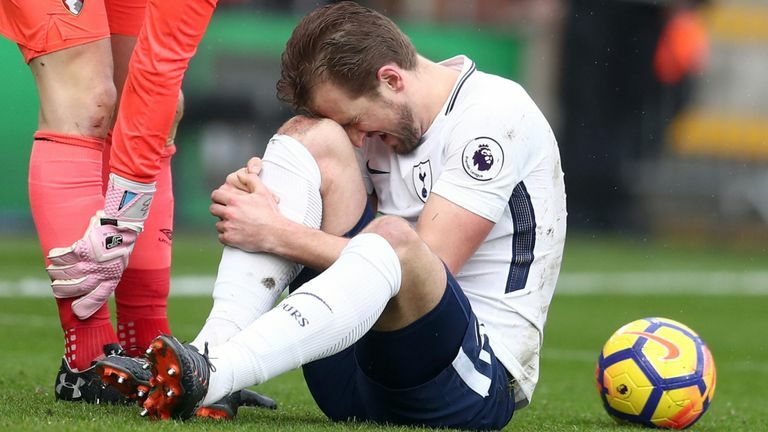 A long-term injury to the main man is a scary proposition which Spurs have not considered. The two back up forwards in Fernando Llorente or Vincent Janssen, hardly get any minutes and are both out of touch. There has also been a failure in terms of grooming a young forward to support Harry Kane. In midfield though, it must be said that Lucas Moura and Erik Lamela have done well this season with Son and Alli not being available at all times. Centrally speaking, however, apart from Winks and Wanyama there are no real option for them to fall back on. Moussa Sissoko, the tall and strong midfielder, has been playing well over the past few weeks and everyone associated with Spurs will hope that his purple patch continues. Lack of a proper backup playmaker has really hurt Spurs. Judging by titles won, it’s clear that Eriksen and Alli alone can’t take Spurs to the top. The defence is pretty well balanced to be fair, with Trippier and Aurier on the right and Davis and a fit-again Danny Rose on the left. At the centre of defense, Juan Foyth has deputized well for Davinson Sanchez. However, it’s quite clear Spurs need to invest in their bench if they truly want to compete with the likes of City and Chelsea. Manchester United – Lack of quality in squad depth, and bigger problems at the helm. 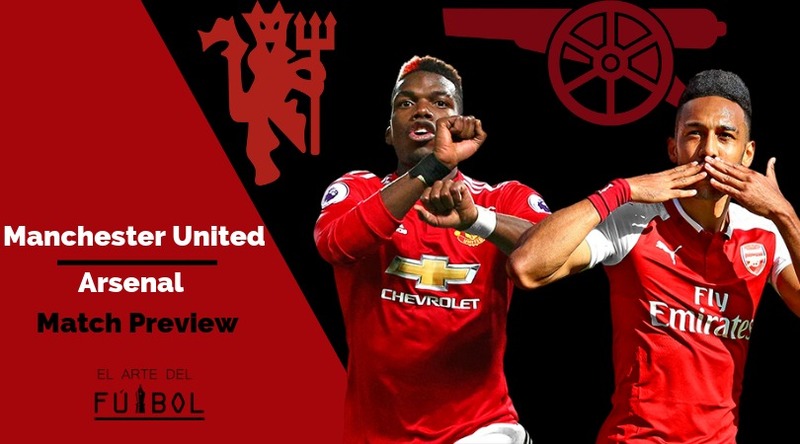 Being a United fan myself, this is slightly difficult to write. Although a part of the big six, United currently aren’t even in the top six. Lack of quality options in various positions has some role to play in our poor start. However, the dressing room atmosphere and the issues surrounding the manager have been a bigger concern. We’re already out of the league cup despite having a strong line-up in that game. The penalty loss included a squad with Lukaku, Lingard, Bailly and so on. No excuses to be made, just a bad performance. Injuries have been a massive problem too for United this season, exposing our depth issues. We have 7 defenders either injured or suspended for the upcoming game against an in-form Arsenal. Mourinho had to resort to playing Matic as a centre-half with Jones alongside him in our previous match. That didn’t end well. United only have 4 out and out attackers, with Sanchez and Lukaku in woeful form. The midfield has enough options, but the right combination and rotation pattern is yet to be discovered. Some new recruits at the back would help. However, a mentality change and more positive gameplay is what we need. Looking at both ends of the spectrum within the big six, there is no masking the importance of squad depth in the Premier League. Spurs faced the wrath of this theory on Sunday and United might be on the receiving end of this tonight.